Reminder: ONA Monthly Meeting Thursday Night! 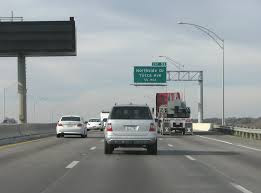 Join us tomorrow (Thursday) night to hear TXDOT Fort Worth District Engineer Brian Barth give an update on the expansion of I-35W near Oakhurst, and what we should expect in the coming weeks and months. August Issue of Oak Leaflet Now Available! Check out this month's issue of The Oak Leaflet online! 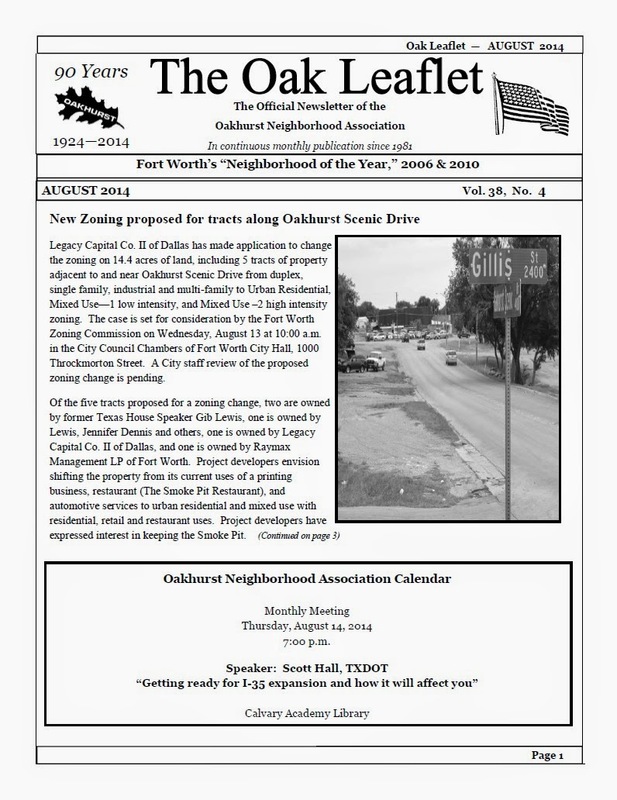 This month features articles on zoning changes along Oakhurst Scenic Drive, a tribute to Hazel Ruth "Tootsie" Hartsell, a recap of the ONA July 4th Picnic and Parade, and more. Visit our Newsletter Archive to view or download your copy.